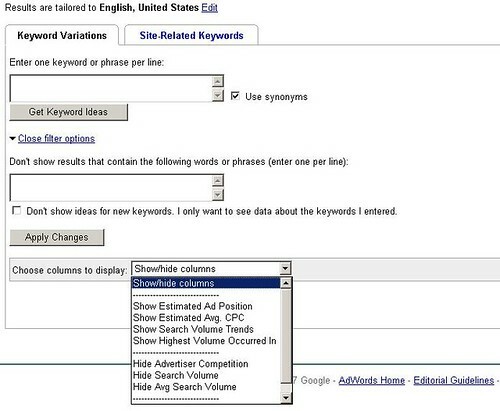 GuyFromChicago has spotted and blogged about some new features added to the Google AdWords Keyword Tool. Some of the features include new filters, such as disallowing results that contain specific phrases, disallowing keywords that are already in your ad group, and not showing ideas for new keywords. There's no official word from Google yet on these, but users are starting to see these new features in their account. What do you think? Forum discussion continues at Search Engine Roundtable Forums and DigitalPoint Forums.